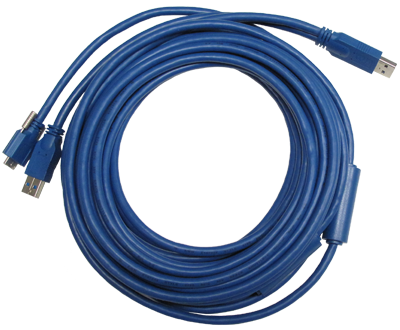 10m (33 feet) USB 3.0 active cable, with Type-A to Micro-B with screw lock connector. Provides additional Type-A split power port for the cases that additional external power is required. This port plugs to a second USB (USB 3.0 or USB 2.0) port on the PC side. 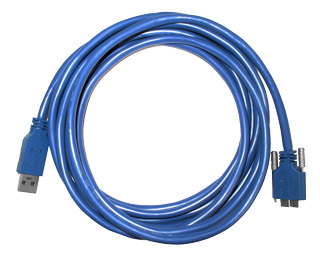 The 6 inch (150 mm) cable prevents cable clutter on short distance installations.